In order to preserve its nuclear deal with the Islamic Republic of Iran, the Obama administration agreed not to prosecute an arms smuggler whose products killed hundreds of U.S. troops in Iraq. The lenient approach to the case of Amin Ravan was one of several uncovered in previously hidden court filings and exposed on Monday by Politico. Ravan, U.S. authorities believed, was involved with providing Iran with components of bombs that Shiite militias used over a long period of time. He was also charged with smuggling American military antennas to Hong Kong and Singapore so they could be sold to Iran. But the Obama White House dropped those charges, along with those of at least 13 other fugitives, as part of the negotiations that led to the nuclear deal announced in 2015. The move was executed quietly, even as the administration publicly carried out a prisoner swap and released seven Iranians and Iranian-Americans who it portrayed as low-level violators of U.S. sanctions against Tehran. 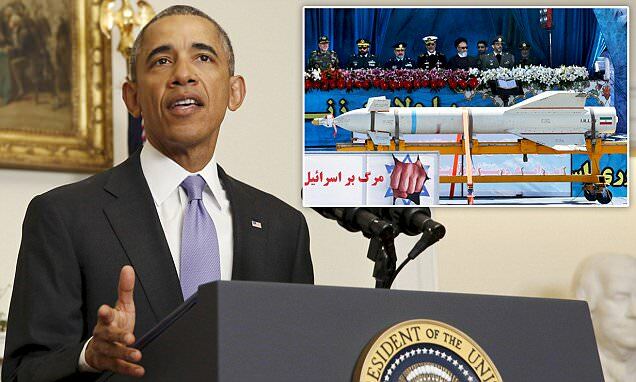 In reality, the Justice Department had accused some of them of supplying Iran with U.S. microelectronics needed for making surface-to-air and cruise missiles. One, an aerospace engineer was in the middle of an eight-year prison sentence. He was convicted of conspiracy in a case involving the transfer of satellite hardware to Tehran. The U.S. government even dropped its demand that he hand over $10 million that Iran paid him. 'It's stunning and hard to understand why we would do this,' Lincy said. In addition to Ravan, the fugitives that the Obama White House allowed to slip under the radar included Seyed Abolfazl Shahab Jamili, who faced 10 charges related to his efforts to export highly sensitive equipment with nuclear applications to China – knowing they would be passed on to Iran. At the time, U.S. Attorney Carmen M. Ortiz cited 'significant foreign policy interests' in the decision to dismiss the charges, but didn't link it to the nuclear deal. Jamili's accomplice, a Chinese national, was jailed for 9 years. He unsucessfully appealed that sentence in federal court. Behrouz Dolatzadeh, another Iranian whose charges were dropped, was facing a federal grand jury indictment for attempting to export 3,500 American-made M-4 rifles to Iran via Syria. Dolatzadeh also served on the corporate boards of several companies under the control of the Iranian government.